The 2017 Bruti Liberati Prize was awarded to Roman Gayduk, holding a PHD from the University of Michigan with the thesis "Game-theoretic approach for modeling market microstructure". The 2015 Bruti Liberati Prize for the best PhD in Mathematical Finance was awarded to Marko Hans Weber. Marko's thesis covered models of dynamic trading with price impact. Submitted thesis were evaluated by the Committee: Prof. Damir Filipovic, Prof. Jan Kallsen, Prof. Masaaki Kijima, Prof. Ronnie Sircar, Prof. Emilio Barucci. 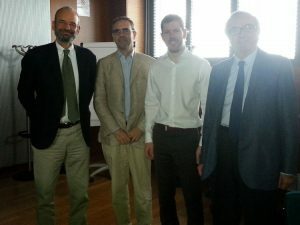 The ceremony was held at Politecnico di Milano, at the presence of the Nicola Bruti Liberati family, and the Politecnico di Milano representatives. The 2014 Bruti Liberati Prize for the best PhD in Mathematical Finance was awarded to Thomas Kruse. Thomas's thesis covered inverse optimal stopping problems, and control problems motivated by issues in illiquidity. 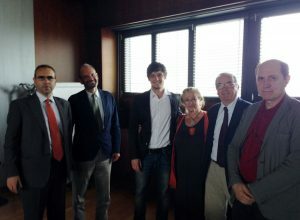 Submitted thesis were evaluated by the Committee: Prof. David Hobson, Prof. Dr. Jan Kallsen, Prof. Eckhard Platen, Prof. Peter Tankov, Prof. Emilio Barucci.